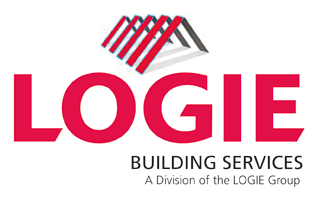 Reid Hall, Forfar – Logie Glazing & Building Services Ltd. 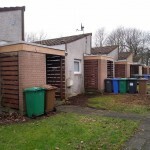 The project is to provide alterations to various parts of the existing community building in order to improve the accessibility and usability. 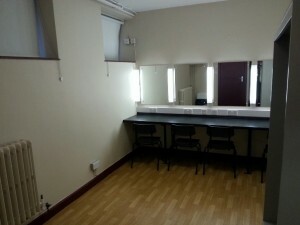 A refurbishment of the existing basement dressing rooms was carried out. New benching was installed. 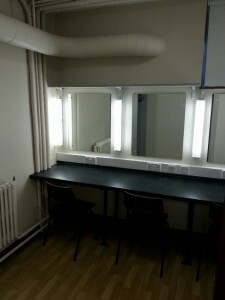 The changing areas were fitted out with new lighting, mirrors and built in wardrobes to maximise storage areas. 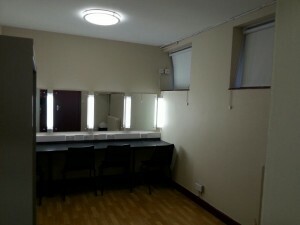 The dressing room areas also received new privacy blinds. 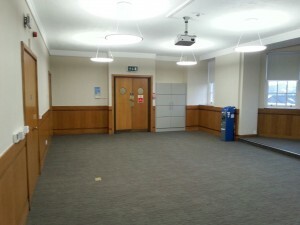 As well as new floor coverings and paint throughout. 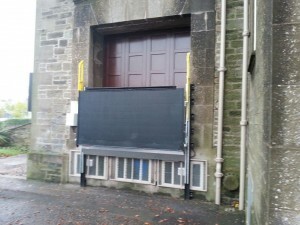 Externally, a new hydraulic bay lift was installed to the existing stage loading bay. This was fitted to aid with the lifting of heavy production equipment during productions within the hall. Installation of a new stair-riser (wheelchair platform lift) to access the stage. 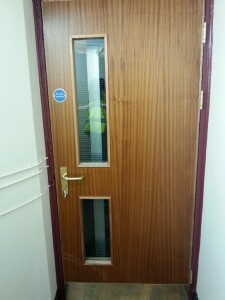 New fire rated doors were fitted to the existing fire escape to create a ground floor accessible entrance. 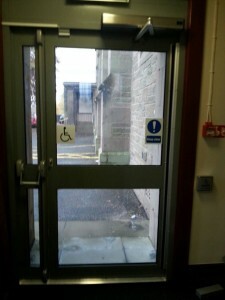 A disabled level access was created into building. 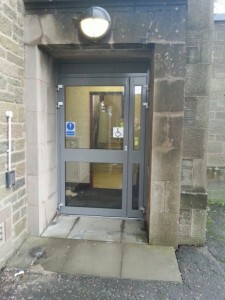 This consisted of an aluminium doorset, fitted to DDA Regulations including a remote access keypad, fitted internally and externally. Within the works the existing orchestra pit/stage received some modifications. 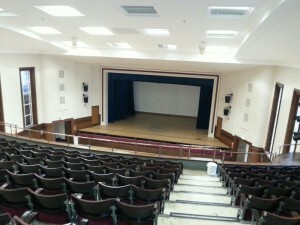 The orchestra pit under the stage received fire upgrading, by the installation of fire doors. 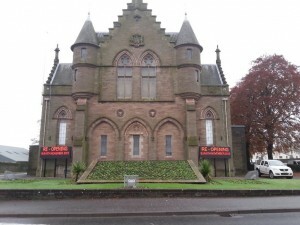 Alterations to the de-mountable orchestra pit were carried out to give more structure. 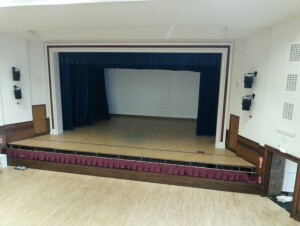 The existing stage lighting received some alterations and was redesigned to suit the client’s needs. 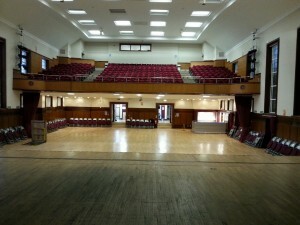 New blinds were fitted throughout the hall, which are electronically operated. 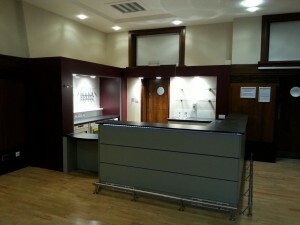 Redesign of the main hall included the installation of a new servery area which is utilised for functions. A new in-situ bar area with solid slate worktop and laminated panels was supplied to replace and existing table mobile bar. 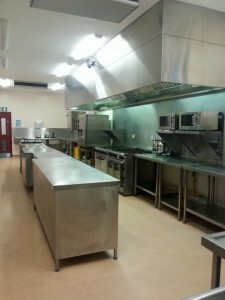 New optics, fridges, LED lighting and sinks were supplied to be integrated into the new serving area. 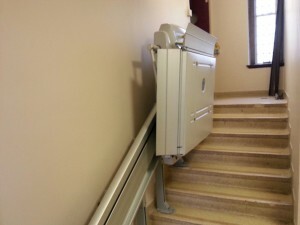 The use of a hatch area creates a wheelchair accessible serving area at a lower height. 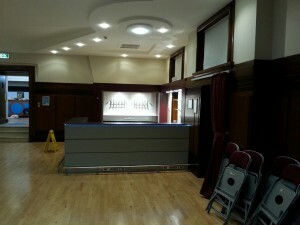 The bar received new heating at front of the serving area by the use of plinth heaters. 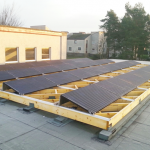 The whole area was designed to be assimilated into the existing decorative wooden panels and features of the building. 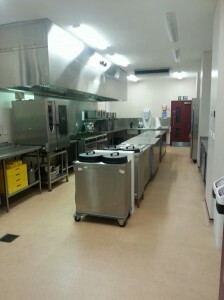 Alterations to the layout of the kitchen were carried out to accommodate the installation of the new industrial kitchen equipment. 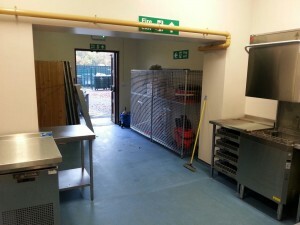 Industrial fridges and freezers were supplied along with microwave shelving, to utilise working space. 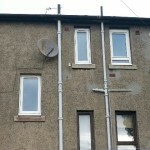 This area also received an upgrade to the electrics to accommodate the new kitchen appliances. 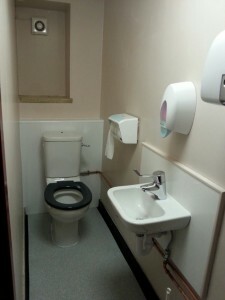 A refurbishment was carried out to the staff WC on the 1st floor. 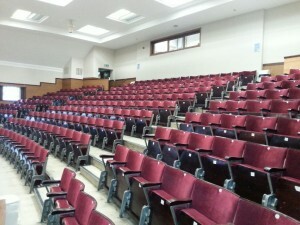 The existing facilities which were in place in here were upgraded to modernise amenities. Mess room, shower and utility provisions to 2nd Floor staff area. 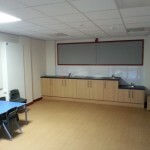 The layout of the existing room was altered to provide a new staff kitchen area and separate shower room. 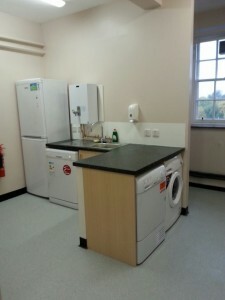 New appliances were supplied along with kitchen units and worktops to create a staff kitchen area. 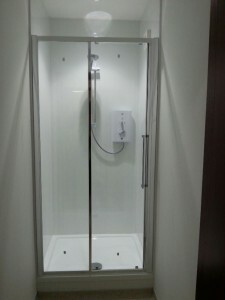 Within the shower area a wetwall panelling system was fitted along with extraction units. 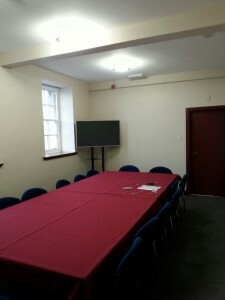 An existing bar area was stripped out to create a new conference room. 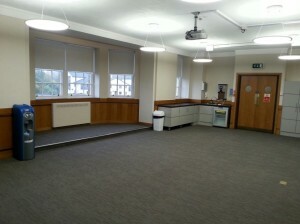 The area received a full decoration, a new carpet throughout, as well as new roller blinds. Our plasterer also carried out a plaster coat to the ceiling to create a uniform ceiling finish. 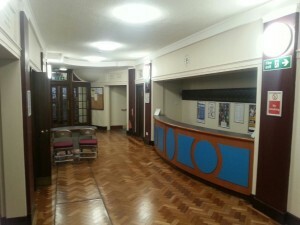 During the works a revamp of the reception area was carried out. 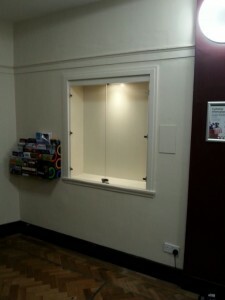 A glass screen display case was installed to suit the client’s requirements for advertising purposes. 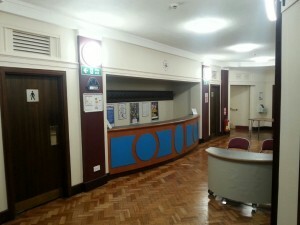 A new ticket booth and cloakroom was created within the reception area. 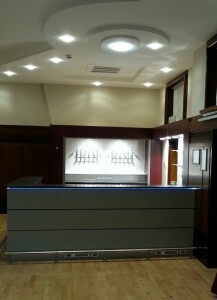 The reception area received new lighting, along with new emergency lighting facilities. This area was also decorated throughout. 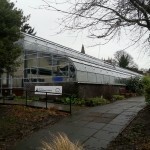 Stainless steel storage cages were supplied for the storage of bar equipment. Stainless steel tables were installed alongside the dishwasher to allow for the separation of dishes. 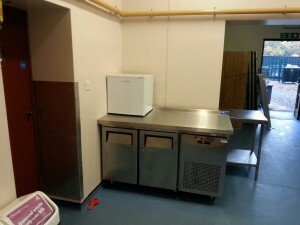 New fridges were supplied to this area, whilst other fridges and sinks were relocated. This area was also decorated throughout. 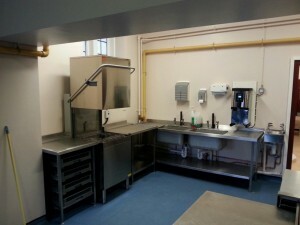 Within the Lesser Hall, a kitchen area was fitted with the provision of a mobile serving cabinet. 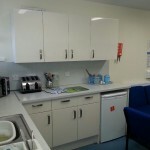 Within the kitchen area a new bar fridge was supplied along with a hot water boiler for hot drinks making. 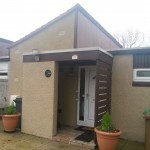 Built in storage cupboards and wardrobes were fitted to utilise storage space. New roller blinds were fitted. 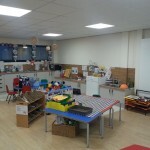 This area also received a full decoration and new floor finishes throughout. 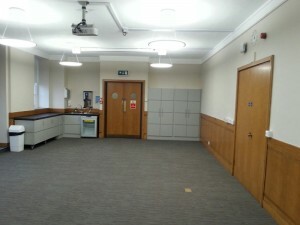 Decoration and improvement works were carried out to various areas throughout the building. 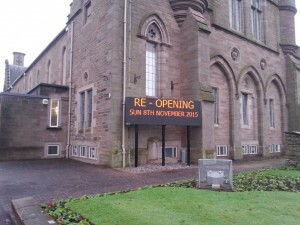 LED advertising signage was installed to the exterior of the building to advertise upcoming events throughout Angus. 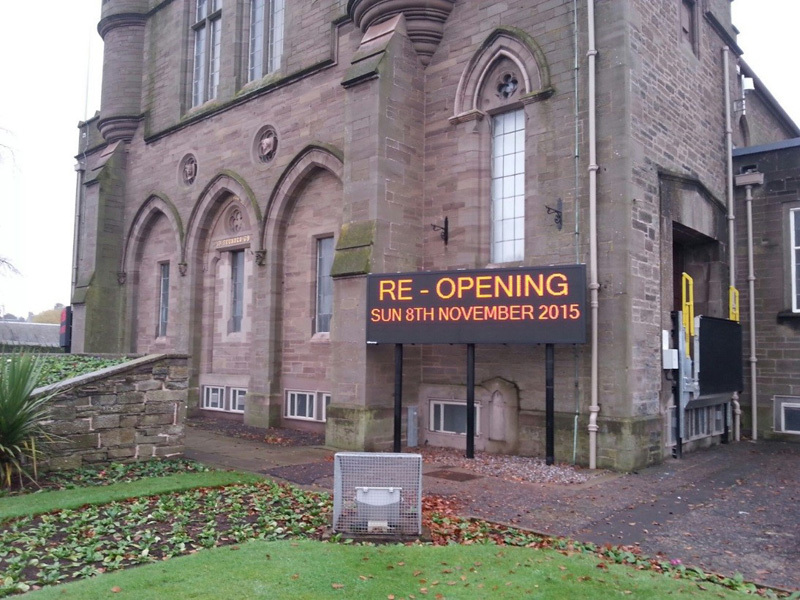 The signs links to Angus Council network through a software package, allowing the signs to be controlled remotely. 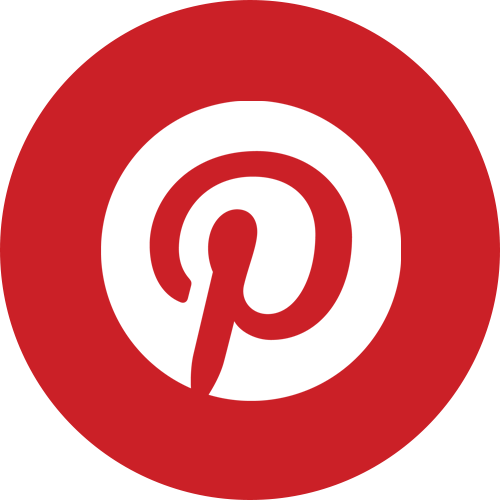 The advertising boards are mounted on powder coated steel posts. 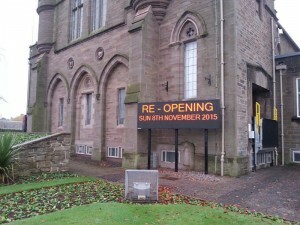 These state of the art advertising boards were installed to eliminate the health & safety issues of hanging advertising banners on site.